What Are Blogs Looking For From Guest Posts? For businesses looking to gain exposure, guest posts can provide the perfect boost to their content marketing strategy. A "guest post" is a blog post written by you (or your brand) but published on another blog, instead of your own. Many professional bloggers will write and host guest posts for each other because it's a mutually beneficial trade, and this trade works just as effectively for your brand's content. After all, the blogger who accepts your post already has credibility and an established readership. 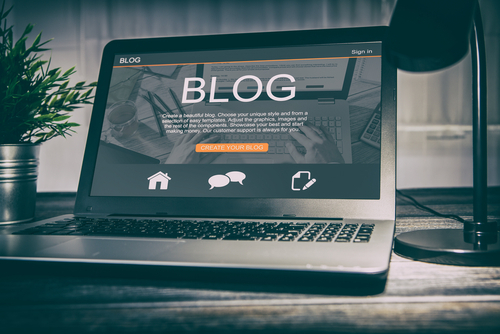 The blog receives content, while you receive traffic referrals and reach a larger audience than you could through your own blog - a win-win situation. Landing a guest blog spot takes some work - it's not as easy as sending a quick email asking a blogger to publish your content. SmartBlogger advises that guest blogging is an excellent way to drive more traffic to your site, but "only if you do it right." Top blogs receive many queries from writers and content creators just like you. Tons of emails and online messages are quickly scanned over and deleted; some aren't even read past the first few lines. We reached out to several bloggers and editors to find out what they pay attention to when choosing which guest posts to publish. Their answers provide valuable insight into how best to guide your own strategy for guest blogging. "What's in it for the blog owner?" That's what Marcus Miller, head of SEO and Digital Marketing at Bowler Hat, suggests you ask when you start writing a guest post. In other words, think about why the blog would want to publish your content. Every blog and publication will define value differently. Take time to explore and identify the goals, mission, and style of the blog you want to publish your post. What does their content reflect? What can you offer that aligns with their values? "Our blog prides itself in featuring authoritative voices, and that knowledge should be displayed in the pitch itself. I want to know not only what you want to write, but why you are the person to write it. The biggest turn-off in a pitch is not explaining who you are and why you're qualified to write the piece." Some blogs look for particular types of content. For Miller, this means content that aligns with the strategy of the blog. "Maybe an extension of a topic covered where the blog owner does not have specific expertise or someone more qualified can expand on a topic." Suzi Scheler of Rosevibe looks for evergreen content to publish on her blog. "A post idea is more likely to get picked if it's relevant in the long term, as opposed to something time-sensitive. This is also because some guest posts might take a while to appear on the blog." Brainstorm topics that remain relevant to your audience year after year, or throughout all seasons. This tip isn't just for guest blogging; it's a smart idea to have some evergreen content packed into the content strategy for your brand's official blog as well. For GeekBusiness editor Steve Thompson, a post on any particular topic is best when "written by an authority in the field, and complete with images and graphs to illustrate the points being made." A comprehensive piece from an authoritative source is what search engines like Google look for. Thompson says, "these are the kind of articles that have the potential to outrank even Wikipedia in the Google results." Posts that can rank well organically in search engines are extremely attractive to bloggers, as this will help their blog gain authority with Google. What can you do to prove that your guest post will add value to another blogger's targeted audience and curated content? Study the types of posts they publish, choose a topic you're well-qualified to speak about, and craft a great pitch that explains how your post will contribute to their goals. It's essential that you research the content of the blog you want to contact. Reading previous posts will give you an idea of the blog's writing style and its target audience. Do they focus on a particular topic within your niche? Take note of which guest bloggers they've published so far - are they usually fellow bloggers, business owners, or other types of influencers? Reviewing the comments and social media following of guest bloggers can also be helpful - guest posts with few comments or a low number of likes and shares probably don't attract a lot of attention on that blog. If most of the guest posts don't generate much engagement, consider skipping that blog entirely and look for one where guest posts get more traction overall. Aside from researching the history of guest posts on a blog and the type of content the blog features, it's also critical to research the blog's guidelines for submitting guests pitches. According to Zak Mustapha, founder and CEO of Foolishness File, this is vital. "If the blog doesn't state specifically what to include in your pitch, then just get to the point and send a list of three to five topics you'd like to write about," he says. "And most importantly, make sure those topics are relevant to the blog you're pitching." The bottom line? If you haven't researched your content first, it will be painfully clear in your pitch - and you can expect the editor to move on to the next candidate. Great pitches are necessary to catching the blogger's attention. It should go without saying, but your pitch needs to be well-written - editors won't give it a second look otherwise. This goes beyond spelling errors; poor formatting, improper punctuation, and excessive exclamation can all be turn-offs. "Especially egregious errors are overuse of exclamation points, hyperbolic or meaningless descriptions," explains Kohatsu, adding that "'amazing' is particularly offensive." Stay away from exaggeration - it can make your pitch sound gimmicky and insincere. Your topic is probably good (great, even), but is it truly the "best thing you'll ever read this year"? Poorly written pitches can also come across as spammy. Blogs constantly receive pitches solely for SEO and link-building - that is, low-quality content for which the guest blogger wants nothing more than a link back to their own website with no attempt to add real value to their blog. These pitches are often poorly written and ask outright for links. "When the blogger makes it obvious that they 'want to write free content in exchange for a link to their site,' it makes them sound like spammy link-builders, even if they aren't," says Mustapha. "I think it's pretty obvious you're after a link or the traffic; you don't need to mention it." If you want to determine what kind of SEO value or links you may achieve, Mustapha suggests looking through the blog's previous guest posts to see how they credit authors. GeekBusiness' Thompson has similar thoughts on poorly written pitches. "[Pitches] that go straight in the bin are the emails that scream 'cheap SEO.' If they're looking for a link in return for some low-quality (even 'spun') content, it's often obvious from the email - it'll be littered with mistakes." Craft your pitch as carefully as you would craft your content, and proofread vigilantly. A well-written and error-free pitch shows respect and consideration for the blogger's time and effort, as well as sincerity in your aim to create a mutually beneficial guest post. While well-researched pitches can help you land guest posts, don't forget about the importance of building relationships with the publications you hope to work with. Leave comments on blogs posts written by people you want to contact. and engage bloggers on social media by commenting on, liking, and retweeting some of their posts. Doing this before you send a pitch email gives you credibility because it's not a clear call for promotion - you're showing bloggers that you value what they have to say before you even pitch to them. For Miller and his team at Bowler Hat, this is routine. "We prefer to identify some candidates and build relationships with the bloggers - find out what content they would like to see expanded; demonstrate how we can add value through comments. Get a feel for their needs and requirements, whilst building the relationship over social media. This can then move to email and a conversation about how we can create some content that will help us both." Remember that the point of a guest post is to make a connection that's mutually beneficial. Focus on what you can give another blogger (instead of what you want to get), and most will be happy to offer you exposure and links in return. HubSpot's Pamela Vaughan pays more attention to bloggers who are introduced through a mutual connection. Of course, no one starts out with a network of widely-read blogs and influencers. Established bloggers want to help guest bloggers grow their audiences, but they also have standards and instructions for a reason - they've put a lot of time and effort into building their names, their audiences, and their credibility. They want posts that will continue to build upon that reputation and grow their audience. Pitches that show you've done your research will separate you from the constant flow of poorly-written, irrelevant messages. Demonstrating a genuine interest in a blog's content indicates that you value them as more than just a source for potential backlinks. Reach out with respect and high-quality work, and you can form strong business relationships that are lucrative for both your brand and your partner blogs.